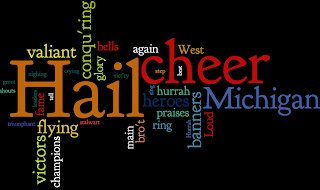 Wordle, in its own words, "is a toy for generating “word clouds” from text that you provide. The clouds give greater prominence to words that appear more frequently in the source text." Naturally, I fed The Victors into it.